Gymbox is unveiling a brand new flagship site in Farringdon, including two treatment rooms for official physiotherapy partner in residence, Capital Physio. All-new Gymbox Farringdon will offer 150 totally unique classes every week spanning 42,000 square feet. 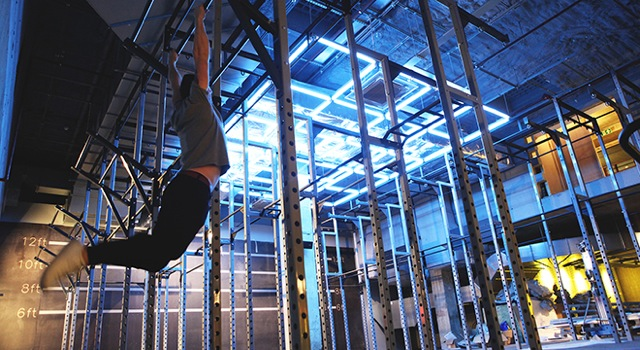 With dance, conditioning, group cycling, strength training, performance training, a three-lane turf sports track, Olympic sized boxing ring, resident DJs and more, the 42,000 square feet set to attract fitness fans across the capital. With a loyal following of fans ready to check out the flagship site, Gymbox was keen to sign up a physiotherapy partner to offer on-site services. From the very first day, an experienced team of physiotherapists will be on site to treat clients as the individuals they are, putting in place a totally bespoke plan to help with immediate symptoms and also prevent or manage ongoing issues. Capital Physio will also offer enhanced recovery services including sports massage. GymBox are Offering ONIN LONDON readers a 10% discount on all Capital Physio services at the new site for your readers, valid until the end of November. Just mention ONIN LONDON to redeem this offer. Call Capital Physio on 033 0333 0435 to register as a client and book your appointment.